Former President Olusegun Obasanjo on Saturday said Nigeria has become too solid as a country for any force, calamity or misgovernance to destroy it. 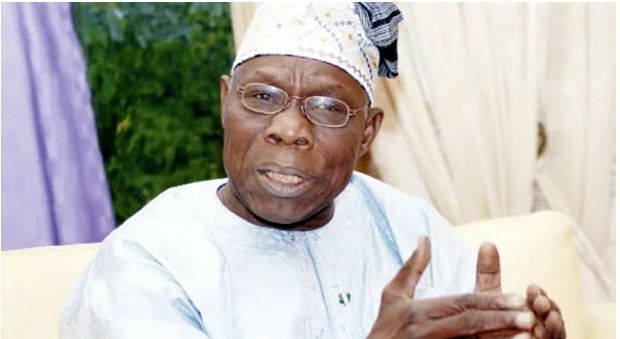 Mr. Obasanjo, who spoke exclusively to PREMIUM TIMES from Azerbaijan where he is chairing a meeting of the InterAction Council of Former Heads of State and Government, was responding to reports quoting him as saying Nigeria would collapse if President Muhammadu Buhari is reelected to office in 2019. The reports claimed that the former president made the comment in a speech at the Blavatnik School of Government, Oxford University, on Friday. But Mr. Obasanjo vehemently denied making the comment, saying he had not even been to London since early January when he spoke on transformational leadership in Africa at Oxford University. “I won’t and can’t say that (that Nigeria will collapse if Buhari is reelected),” the former president said. “There will be nothing that will make Nigeria collapse. When Nigeria did not collapse under a civil war, it won’t collapse now. “My faith and conviction about Nigeria are so strong that I don’t see the country either being dismembered or collapsing. “The worst has passed on Nigeria. Once we were able to survive the civil war, once we are able to survive (Sani) Abacha, nothing can be worst than those two. And our democracy is waxing strong. Although there are a few things we need to get right. When reminded of his recent criticism of the Buhari administration for misgovernance, corruption and ineptitude, Mr. Obasanjo said even those administrative weaknesses were not enough to wreck Nigeria. “I regard those as aberrations and they will pass away,” the former President said. “Such aberrations will pass away with the regime that brings them. Mr. Obasanjo, who ruled Nigeria as a democratically elected president between 1999 and 2007, supported Mr. Buhari to become president in 2015. But on January 23, the former president released a 13-page statement calling on Mr. Buhari not to seek re-election in 2019.